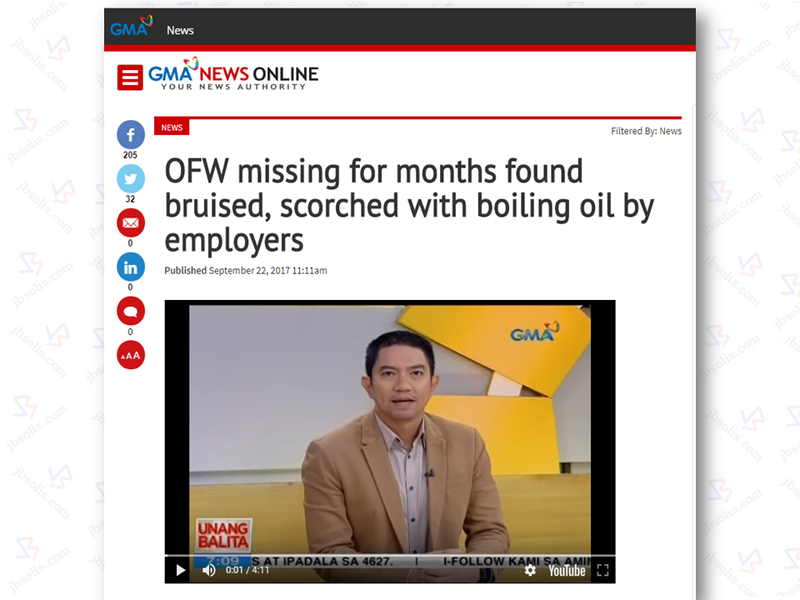 The family of an Overseas Filipino Worker (OFW) cries justice over what happened to their loved one who was physically abused and maltreated in Malaysia. Her employer even scalded her with a boiling cooking oil and scorched using a heated pot! Joramie Garcia Torres left to work as a household helper in Malaysia after applying to a recruitment agency in Quezon City. Just barely a month after her arrival, she absconded from her employer to avoid the danger of being raped. he then went to the counterpart agency in Malaysia to find her a new employer. On January, she got her new employer who is a finance manager in an oil refinery, according to the report. The family was not able to contact her since then. The family received a news from a message last June that Joramie was missing. The agency did not tell them anything about her disappearance. On September 1, the family learned Joramie, wounded, fled her abusive employers on foot until she collapsed in an abandoned lot . A couple assisted her and brought her to a church. She was eventually able to reach the embassy shelter and finally talked to her family back home. Further hearing regarding Joramie's case is scheduled for next month. The family is also determined to sue the employment agency who deployed her. 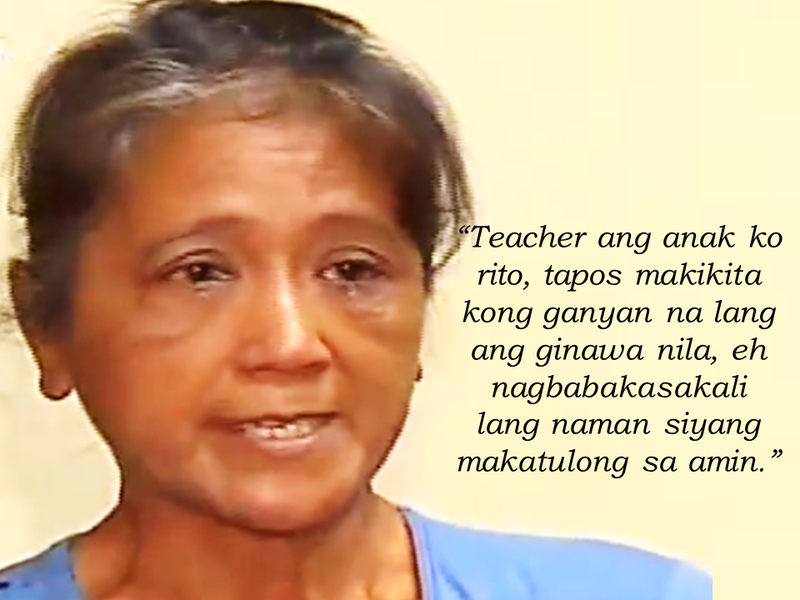 Joramie is a former teacher who tried her luck in working overseas as an OFW for the promise of bigger salary and help her family. The family is appealing to President Duterte for help in serving justice to their aggravated OFW loved one.